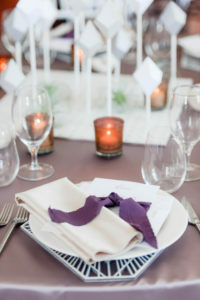 Boldly Chic Events has been planning weddings and fabulous gatherings in Indianapolis since 2010. 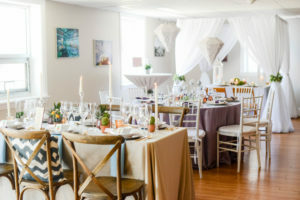 Lori Solomon and Christine Foulke, the lead planners and creatives behind Boldly Chic, aim to provide all of their couples with a fun and stress-free experience, leading up to and on the wedding day. The extra attention they give to their clients is one of their most important assets, not to mention, they love their job! Lori, Owner + Creative, is a Midwesterner at heart but dreams of her former life in New York City. 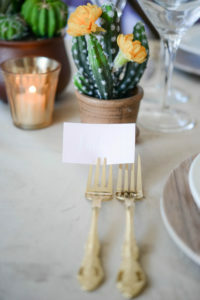 So when Boldly Chic announced their services are now offered in NYC we weren’t surprised! Planning an event in the Big Apple is no small task – Lori and her team’s deep knowledge of the area and other professionals is what makes planning in NYC possible. Experience in NYC and Indianapolis gives Boldy Chic an advantage when designing, planning and executing. When Lori and Christine agreed to design our showroom, again, we were thrilled! Designing a showroom for late Summer and Fall has its challenges, but we knew they would nail it. 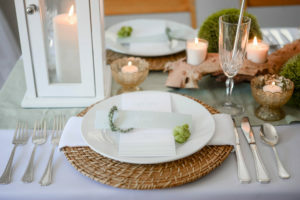 Their tablescape themes are: Pretty and Pricky, Elegant Edge and The Hamptons! Stop by A Classic’s Showroom to see Boldly Chic’s designs now through September. 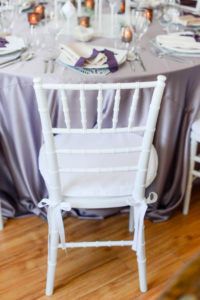 One more thing- We should mention this is Boldly Chic’s second featured design in our showroom. 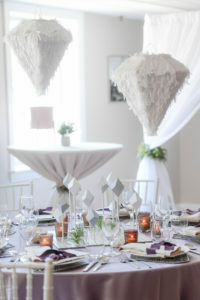 To see more lovely designs in our Inspiration Gallery, click here. And, check out our interview with the leading lady, Lori Solomon below. She’s full of energy and inspiration! 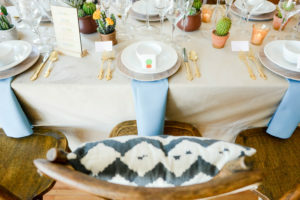 A Classic: How did Boldly Chic Events start? Did you always know you wanted to be in the event industry? 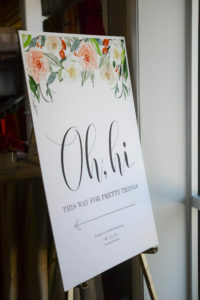 Lori: Boldly Chic Events started after I realized, doing marketing and public relations out of college, that event production was something that inspired and challenged me. Moving back from NYC in 2010, I realized that there was no better time to set up a business that I believed would create opportunity for myself and provide clients with a service that exceeded their expectations. So, here we are, eight years later! That said, I certainly did not always anticipate this to be my career. However, I am so glad I went through the motions that got me here. This is my perfect job! 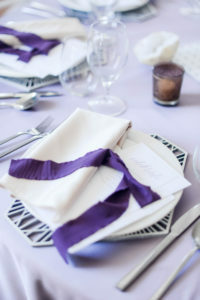 A Classic: Boldly Chic offers services in Indianapolis and New York City – two vastly different markets. What are the biggest differences and similarities when planning events in either location? Lori: Planning in two very different, but amazing, cities is not an easy task. But, it allows me to be a part of two communities and cultures that I adore. I thrive on bringing ideas from NYC to Indy and vice versa. 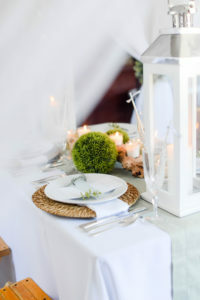 Both cities have a tight-knit event industry and that allows for amazing vendor relations. However, the scale of events is quite different. In Indy, as you can imagine, the selections and choices are not as extensive as in Manhattan or Brooklyn. All in all, we consider our experience working in both cities an advantage for our clients. A Classic: Tell us about the early stages of growing your company and brand. What roadblocks and challenges did you face early on? Lori: In 2010, we were fresh to the Indianapolis event industry. The biggest roadblock was building our reputation and proving our skill. We tackled that by meeting other professionals that were at the same place in their businesses. We built a strong network of friends that supported us, recommended us and cheered us on as we worked toward growth. Those individuals are still a huge part of our success today. 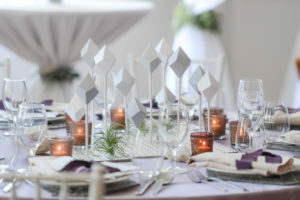 A Classic: Where did you find inspiration for your 3 tablescape designs? 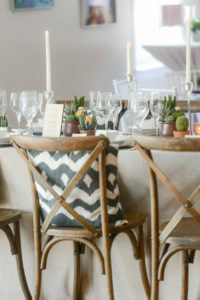 Lori: We knew we wanted to create three designs that were edgy, earthy and airy. So, each tabletop took on one of those words. 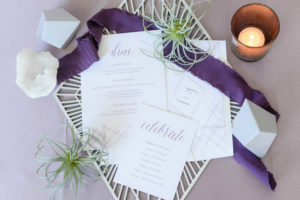 The edgy design uses a centerpiece of pegboard and geometric shapes but also incorporates elegance through the incredible Wisteria Satin linen and custom paperie. 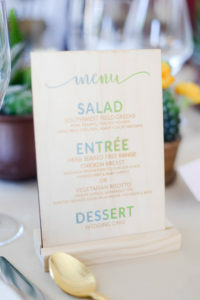 Another really fun idea we used here was laser-cut wooden chargers by Interprintations. The earthy design incorporates the Cashmere Velvet linen, which has a sand-tone to it. 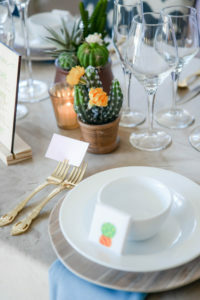 We then utilized potted cactus down the length of the table, along with taper candles, to pull in a less traditional and more natural look. 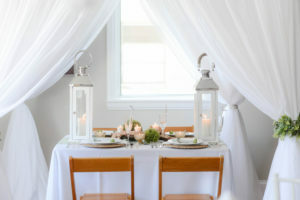 The airy design is clean, crisp and yields a beachy or coastal vibe. 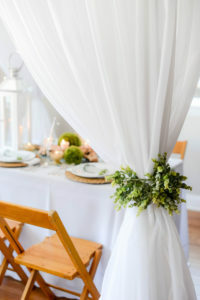 The sheer draping by A Classic instantly provides a perfect canopy for the table. 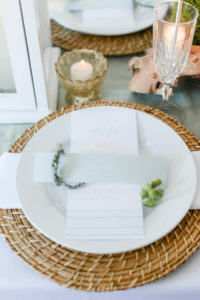 Nautical elements like driftwood, greenery and muted stationery tie it all together. A Classic: What’s your favorite piece that A Classic offers? Lori: It truly changes each year and it is always so fun to see new items come in! Right now, my favorite would have to be the City Coupe Glass. It has made a huge comeback during formal toasts and I just love the tradition it represents. A Classic: 5 quick questions for our readers to get to know you on a personal level! Best career advice you’ve ever received? Do it your way. 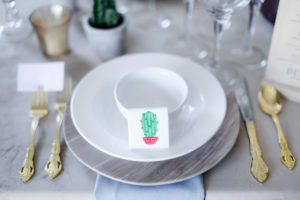 Thank you to the lovely Boldly Chic team for partnering with us to design our spring-fall showroom, Interprintations for the stationary, and Sara Ackerman for the beautiful images. 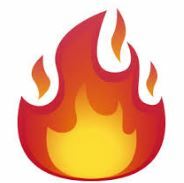 Follow the creative team on Instagram, links below!